Discarded lingerie places Daly Waters on the Aussie road-trip map, black opals lure colourful characters to Lightning Ridge, and the promise of a clear ocean off Esperance speaks to travellers crossing the Nullarbor. Amazing landscapes, heritage towns and quirks of nature make it worth the effort to get to the remote corners of Australia. Pack the car, hook up the van and hit the tarmac to start your discovery. 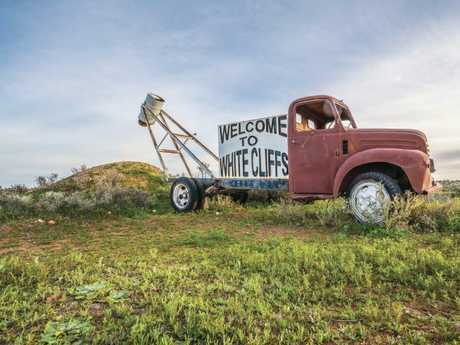 If you've ever pondered what it'd be like living underground, then it's time to meet the locals of White Cliffs, in Outback NSW. Most of the residents in this opal-mining town live in "dugouts" inside which the temperature barely fluctuates. You can see what the appeal is on a tour and even book a room in an underground motel. Aside from residing 10 feet below, the other reason people visit is to learn about the "pineapple" opals. Check out the various varieties and pick up a souvenir at Fossickers Den, or go on a fossicking tour. Afterwards, make your way to the town's quirky "bottle house", made with more than 60,000 beer bottles. Tip: Time your visit for one of the festivals. There's a rodeo in April, music in May, and an underground art festival in July. 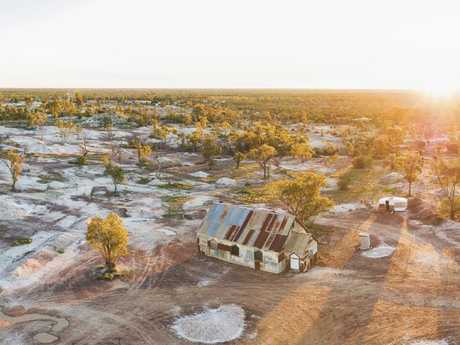 If you've been to White Cliffs already, one of the state's other standout remote towns is Lightning Ridge, another postcode that attracts creative and colourful characters. Near the southern border of Queensland, the Ridge, as locals call it, proudly claims the title of the black opal capital of the world. Again, you'll find homes made of bottles and be able to tour mines but there's also a fun car-door trail that leads to attractions such as ramshackle bush pubs. You'll also be able to pick up traditional indigenous and contemporary art. Tip: Book a stay for the last week of July when the four-day Lightning Ridge Opal Festival is held. 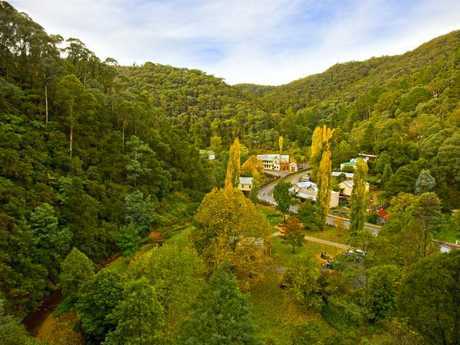 Discover Victoria's goldmining roots on a trip to the sleepy mountain town of Walhalla. In its heyday in the 19th century, this pretty town was home to more than 4000 gold-hungry residents. Now, only 20 people live here among heritage hotels, shops and churches. You can still get a taste of gold-fever by signing up to a panning tour during which you'll learn all about the 3km vein of gold, known as Cohen's Reef, that lured many to this picturesque valley. A great time to visit is in autumn when the trees are changing colours, as well as spring when wildflowers are in bloom. Tip: Hop aboard the Walhalla Goldfields Railway, which started service in 1904 and is now run by volunteers following extensive restoration of the line. On the wild west coast of Tassie, not far from the former mining town and scarred landscape of Queenstown, is the pretty tourist town of Strahan. After crossing through the undulating terrain of Franklin-Gordon Wild Rivers National Park from Hobart, Strahan offers travellers a welcome respite and encourages them to slow down and soak up the scenery. Sailing boats bob in the glassy harbour not far from the tourist boats that ply the Gordon River. They're the main attraction but not the only. 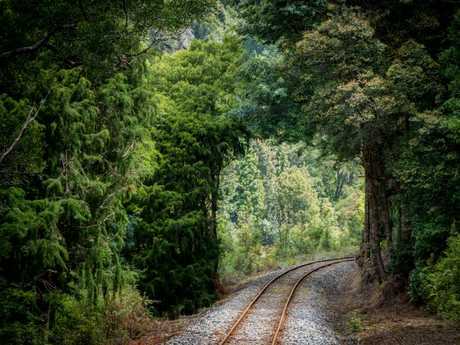 There is also the West Coast Wilderness Railway, a train ride through cool temperate rainforest. Passengers learn about the area's logging and copper mining history as they journey over iron and timber suspension bridges via steam locomotive. Tip: The drive to Strahan along the Lyell Highway is long and winding, so give yourself plenty of travel time. The West Coast Wilderness Railway between Queenstown and Regatta Point, Strahan. Kangaroo Island may only be a 45-minute SeaLink ferry ride from South Australia's Fleurieu Peninsula but it remains one of Australia's most remote wilderness sanctuaries and because of this, it's worth the journey. Kingscote is the main town and makes for a peaceful introduction to the island. Here, you'll find a shallow bay for swimming, busy cafes and bakeries, and a couple of prime tourist attractions. One such attraction is Kangaroo Island Brewery, run by a young couple who's used local stone and recycled timber throughout the property. Order a tasting paddle of craft beer and strike up a conversation with a local at the bar. Tip: Kangaroo Island is bigger than people realise (it's 155km east to west), so to limit your driving time it's worth splitting your accommodation between Kingscote and one of the campgrounds near Flinders Chase National Park. Australia isn't short of mining towns and Coober Pedy has to be the most famous. If you love discovering offbeat destinations this Outback town in South Australia needs to be at the top of your list. 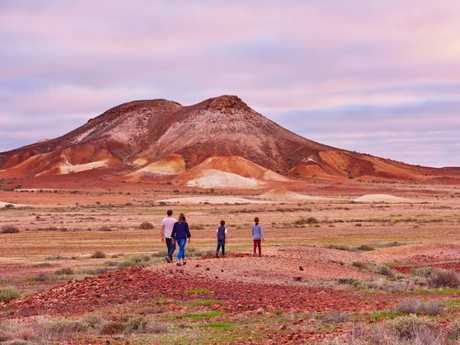 Just like White Cliffs and Lightning Ridge, Coober Pedy rose to fame on opals and is etched into the imaginations of schoolchildren countrywide. If you're not a fan of the rainbow gems, at least stay underground in one of a handful of cave-like motels where rooms have been excavated out of sandstone rock. If you'd rather remain above, take in the red-earth views from the seat of a light plane with Wrightsair. The town is also home to one of Australia's last drive-in movie theatres, built in 1965, and although a digital projector is now used, it still makes for a fun experience. 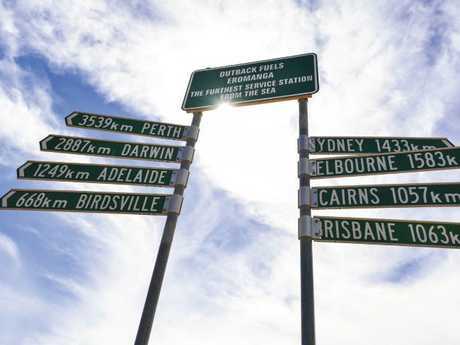 Tip: Coober Pedy is a road-trip destination and the best launching point is Adelaide, about 850km to the south. Check the weather and road conditions on and around the Stuart Highway before setting off. The claim to fame for this isolated Shark Bay community is being the closest town to iconic Monkey Mia and its resident dolphins. But it's also a worthy stop in its own right. Spend a couple of days in Denham enjoying the fishing, the historic buildings made of cockle shells, and one of Australia's best playgrounds (if you have kids). Denham is Australia's most westerly town and it's also worth grabbing a hearty dinner at Australia's most westerly hotel, "the old pub". Then it's time to travel the 15-odd minutes to RAC Monkey Mia Dolphin Resort, which has undergone a $30 million renovation (subs was supposed to reopen July 1). The resort caters to all types of travellers, with beachfront cabins, self-contained family rooms, caravanners and backpackers. As part of the upgrade, the capacity of the campground has now doubled, while there's a new pool, more villas and a resort shop. As for the dolphins, the feeding still occurs a few times a day but is now strictly managed by wildlife rangers. Tip: The most reliable time to see the dolphins is the 7.45am experience, however this is also the busiest with tourists. Arrive in time for this first feeding but hang about for the remainder of the morning when crowd numbers drop. 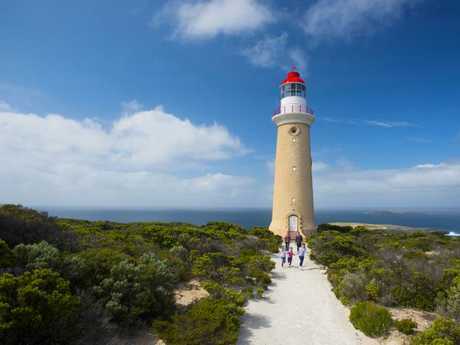 Even a lot of West Australians haven't ventured to Esperance, but it's a beacon of beauty for travellers who've crossed the Nullarbor from the east coast. 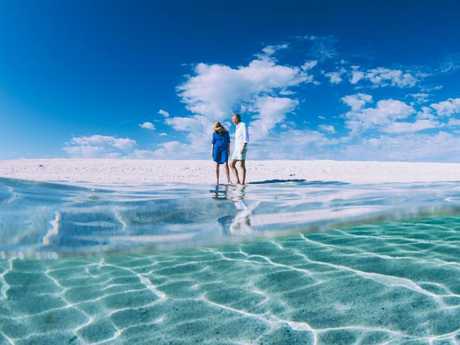 Esperance is rising in popularity thanks to its proximity to Lucky Bay, a curve of white sand and aqua water in Cape Le Grand National Park. 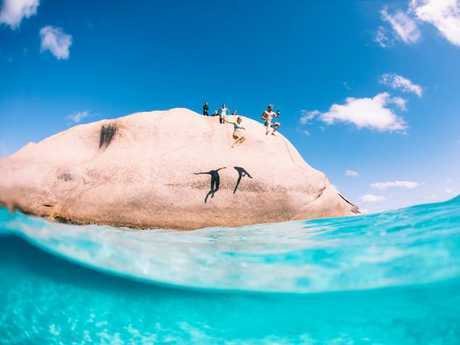 Look up Lucky Bay on Instagram and you'll be bombarded with selfies snapped with beach-lazing kangaroos. You can also 4WD on this beach, surf the brilliant blue waves and grab a cuppa from a coffee van parked on the sand while soaking in the views. Back in Esperance, cycle or jog along the foreshore, and enjoy a quieter pace of life. Tip: Accommodation can be pricey in Esperance so visit outside holiday times. 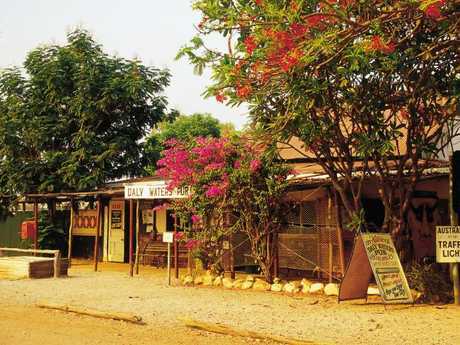 If you fancy hanging about Outback watering holes, you'll want to call into the Northern Territory's oldest pub, in Daly Waters. About 590km southeast of Darwin, the Daly Waters Pub is renowned for its swath of discarded bras. The first lingerie was apparently left by female tourists who lost a bet with a guide in the 1980s. It's not the only fascinating tale told at the countertop. The pub, which dates back to 1930, has been a witness to Western-style shootouts and cattle stampedes. Locals also boast that the town has the most isolated set of traffic lights in Australia - and some say the world. Tip: Daly Waters is truly remote, so if you're self-driving make sure you're equipped with plenty of drinking water, spare tyres and a basic tool kit. And don't forget to bring your sense of adventure. 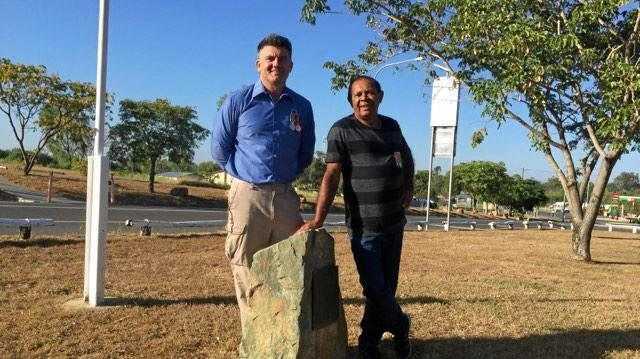 For an indigenous experience you'll be talking about for years, make your way to the remote Queensland town of Laura for the biennial Laura Aboriginal Dance Festival. This eisteddfod is the largest gathering of indigenous communities in Australia and a sight to behold. 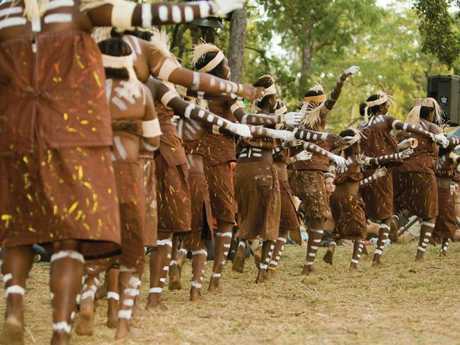 Around 5000 people descend on this town on the Cape York Peninsula to see up to 500 performers celebrating their culture. Expect to get dusty and kick up your boots. If you're there before the next festival (in July 2019), join an Aboriginal Jarramali Rock Art Tours guide 4WDing to culturally significant sites. You'll learn about Aboriginal history in the area and get to see an impressive gallery of rock art. Tip: Stop into Laura before or after embarking on a 4WD adventure to the tip of Cape York, but remember to travel here during the dry season (May-November). With a population of just 45, the Queensland town of Eromanga is definitely off the beaten track. The reason you should visit? To check out the largest dinosaur fossils unearthed in Australia. You'll find them in Eromanga Natural History Museum, along with megafauna and microfauna fossils. And the collection is expected to grow, with the museum having access to more than 70 palaeontology sites in the region. Head to the town for its "dinosaur dig season" (in May), when visitors can apply to help unearth more bones. You'll also be able to learn more about the dinosaurs at the Eromanga Living History Centre, as well as the town's oil- and opal-mining history, and its early residents. Before leaving, snap a selfie in front of the sign proudly announcing that Eromanga is the furthest town from the sea in Australia. Tip: While you're out that way, tack a few more days onto your trip and head west to Birdsville, where you can pull up a stool and enjoy a cold drink at The Birdsville Hotel. 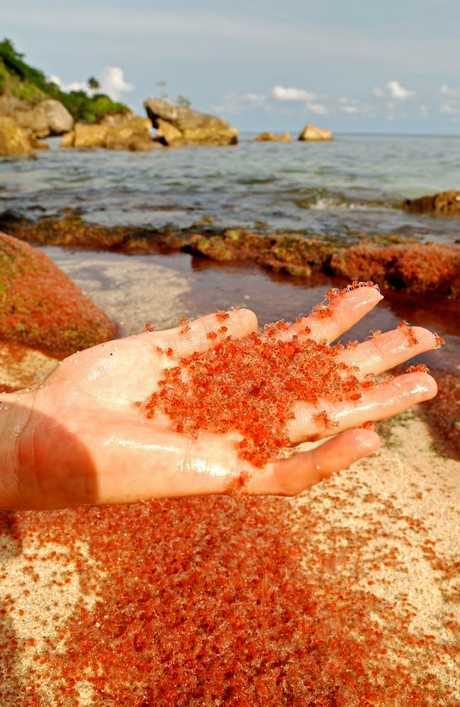 Photos of thousands of red crabs scrambling across roads has alerted travellers to the spectacular wildlife on Christmas Island. The annual crab migration from forest to sea (usually October-November) is just one reason to make the trek to this far flung Indian Ocean territory of Australia. There's also spectacular scuba diving, fishing and bird watching. As for remote towns, Settlement is the hub, as well as the starting point for a walking trail that takes in a permanent exhibition about the island's history from colonialism to detention centres. Tip: Book your visit well in advance as there are only two flights a week from Perth (every Tuesday and Saturday).